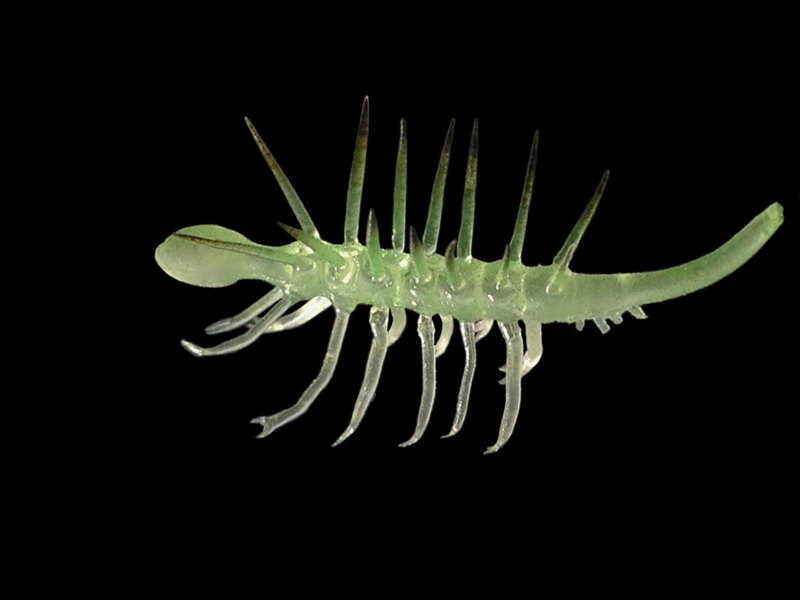 Hallucigenia sparsa, (1:1) 2,5 cm. 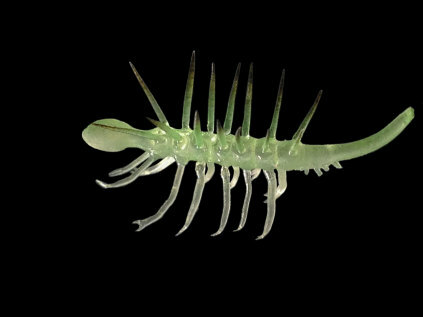 It was not until 2015 that most scientist agreed on which end is the head - A new model for the creature includes a ring of teeth around its mouth, a simple pair of eyes, and a foregut lined with tiny little teeth. 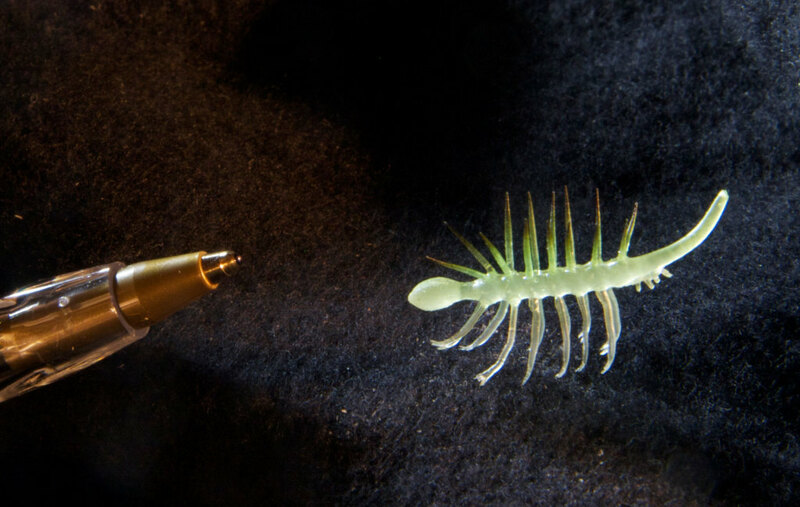 Hallucigenia is now recognized as a "lobopodian worm". It is considered by some to represent an early ancestor of the living velvet worms, although other researchers favour a relationship closer to arthropods.